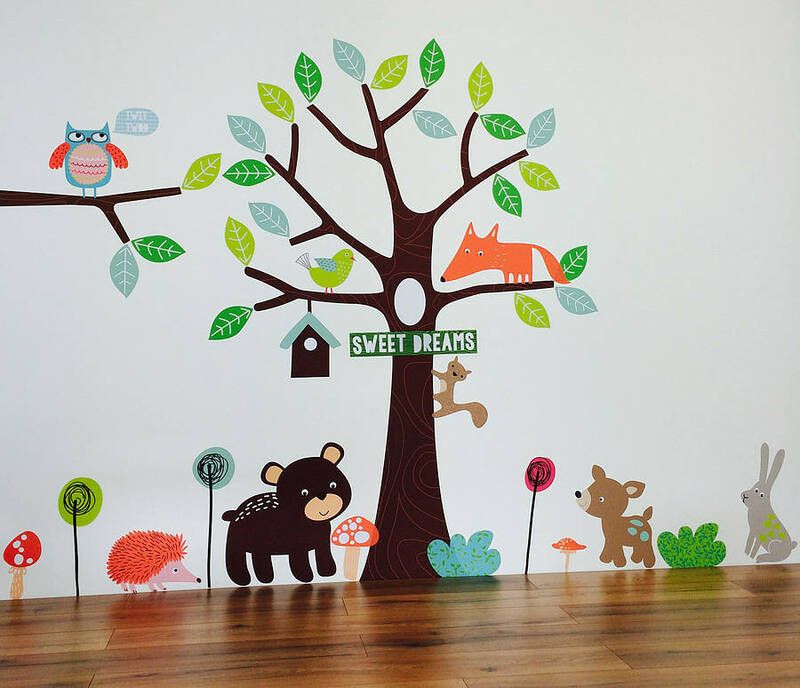 Original and exclusive forest animals wall stickers. 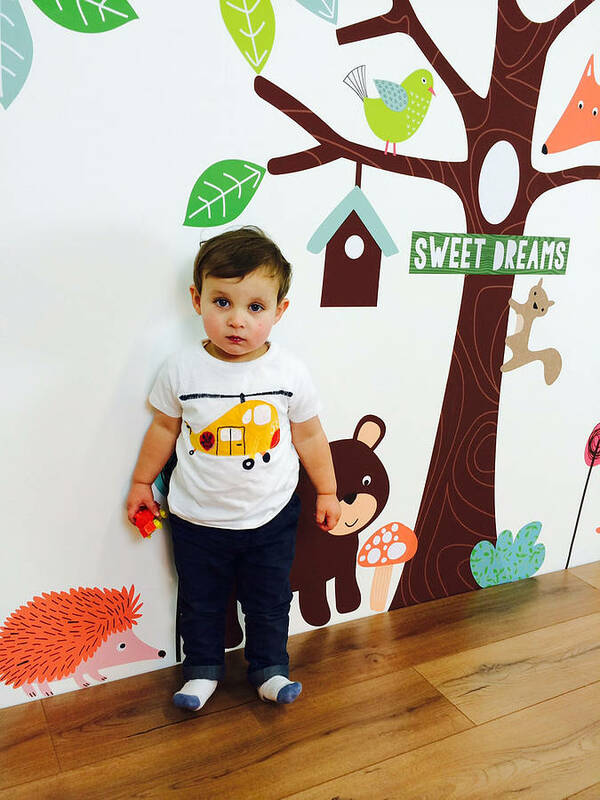 Our vinyl wall stickers are super easy to install, simply peel and stick for a stunning addition to your children's bedroom or playroom. 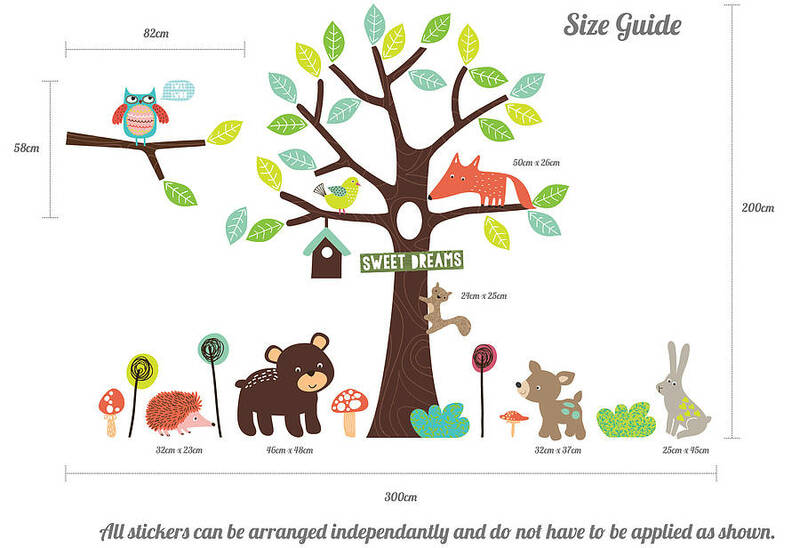 If laid out as we have in our image this forest scene measures 300cm in width by 200cm in height overall. 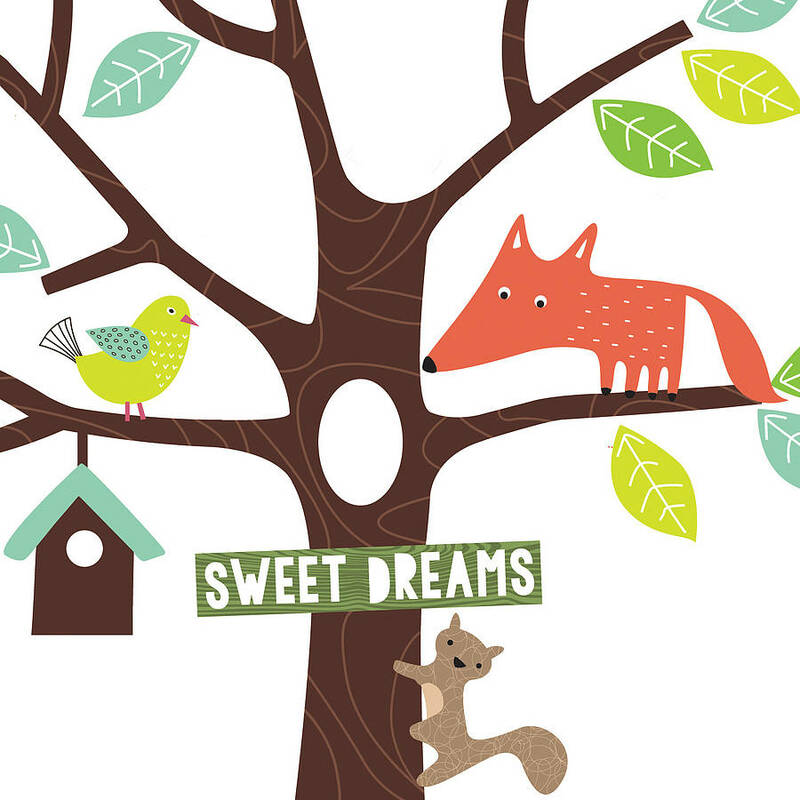 As all of the animals, tree and branch are separate feel free to change the layout to suit your children and your room. 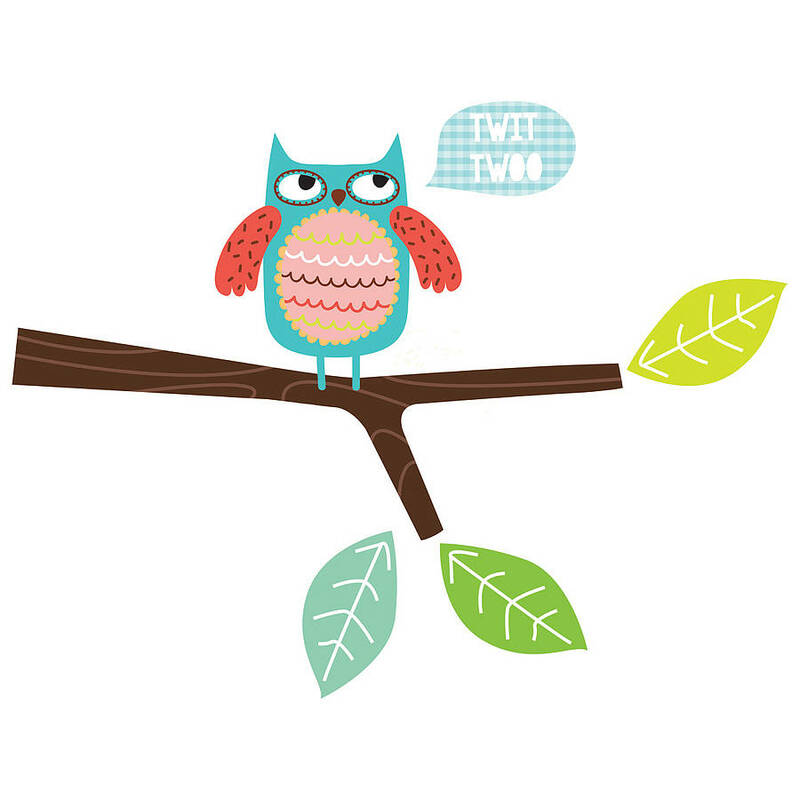 Printed using non-toxic water based ink onto a premum self adhesive vinyl material for a safe yet vibrant look. 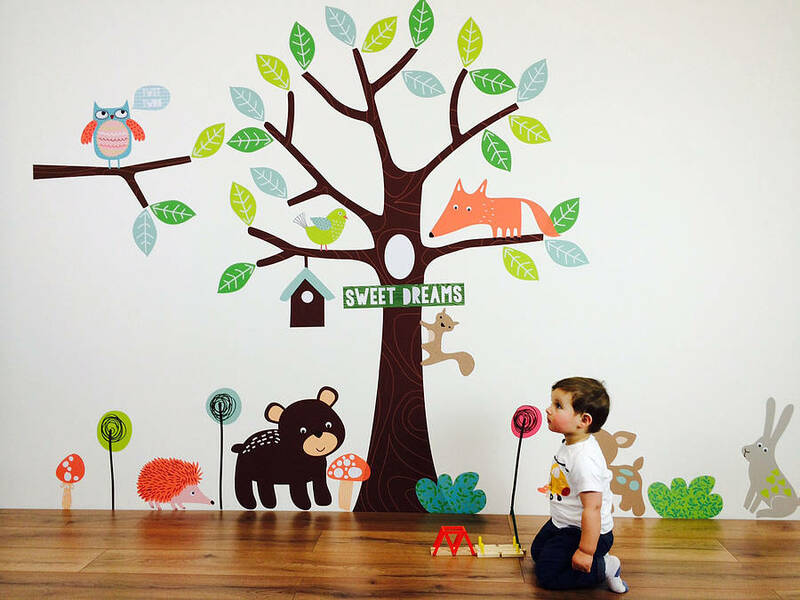 Our fabric wall stickers are repsoitionable so can be used again and again. 300cm width x 200cm height.